By booking an eco-friendly accommodations you can save trees and a large amount of CO2. With a simple click on Ecobnb you can do your bit for a better and more sustainable world. No need to spend more or deprive yourself of comfort, just choose to allocate your money to those who every day are investing in a greener world. In recent decades, the C02 emissions have reached alarming levels, due to deforestation and intensive use of fossil fuels. The effects of this amount of CO2 in our atmosphere are already visible and the situation, if nothing will change, will worsen. Saving CO2 is the same of planting new trees, while increasing emissions equivalent to cut them. Each of us can do,in one’s own small way, more sustainable lifestyle choices to reduce their carbon footprint. When we travel, we can choose to stay at hotels that have significantly reduced their CO2 emissions. 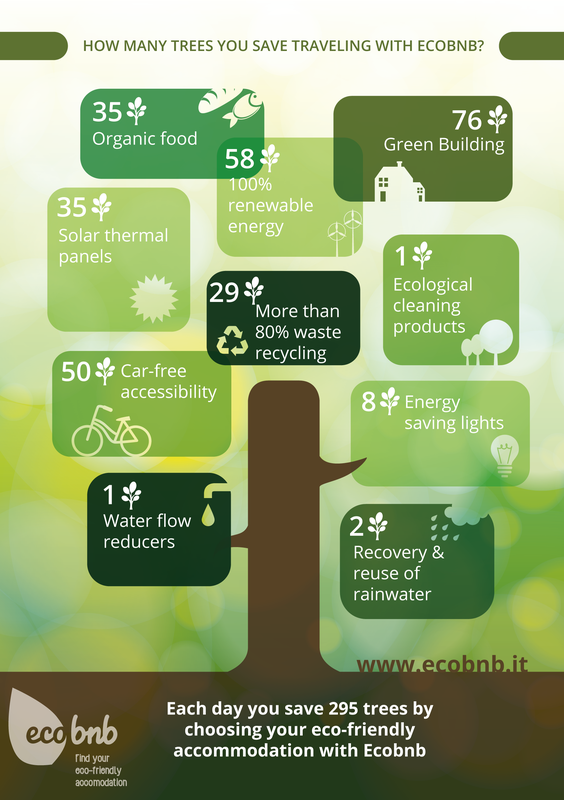 This is the objective of Ecobnb. 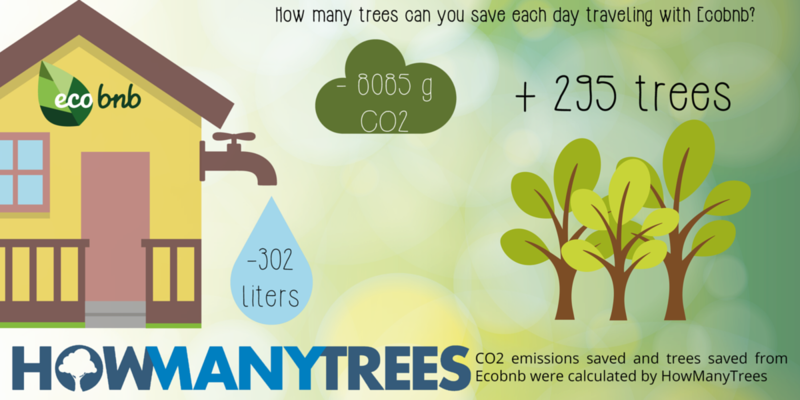 How much CO2 and how many trees can you save traveling with Ecobnb? 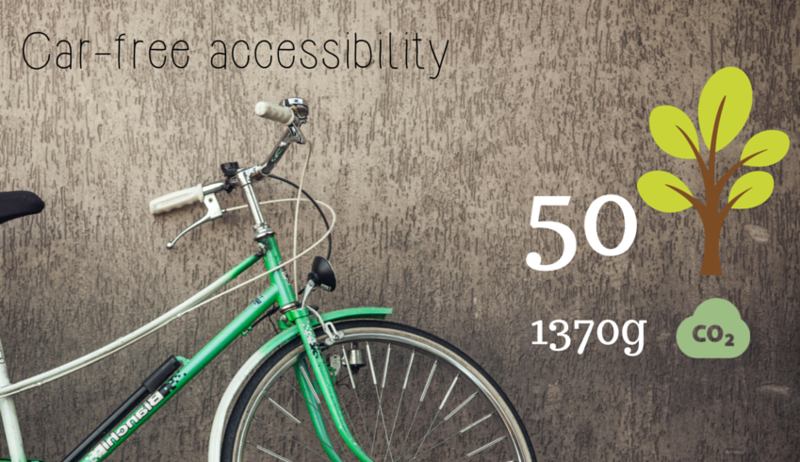 Our facilities have at least 5 of 10 sustainability requirements. We calculated for each of them how much you can save on CO2 emissions and how many trees planted is equivalent to this amounts. CO2 emissions saved and trees saved from Ecobnb were calculated from HowManyTrees, project of two friends engineers that quantify in a simple and effective way the ecological cost of things and of the various actions to sensitize people on the ecological impact of their choices. Through the website you can calculate the ecological cost in trees of your actions and the products we buy. CO2 is calculated per person per day, and even the trees. With one difference: the CO2 is an absolute value and you can multiply by seven to get the CO2 saved in one week. The trees don’t. The trees express the amount of CO2 that they can absorb and this varies depending on the unit of time. We considered the saving that takes place in freight transport, calculating 500km saved each week for seven people. Accommodations that choose to buy local products saves 952 grams of C02, which is equivalent to 35 trees planted, rather than cut. The buildings in green architecture are those that have a high level of energy efficiency (the annual energy consumption is less than 60 kWh/sqm). The International Energy Agency estimates that existing buildings are responsible for over 40% of the consumption of the world’s total primary energy and 24% of global emissions of carbon dioxide. 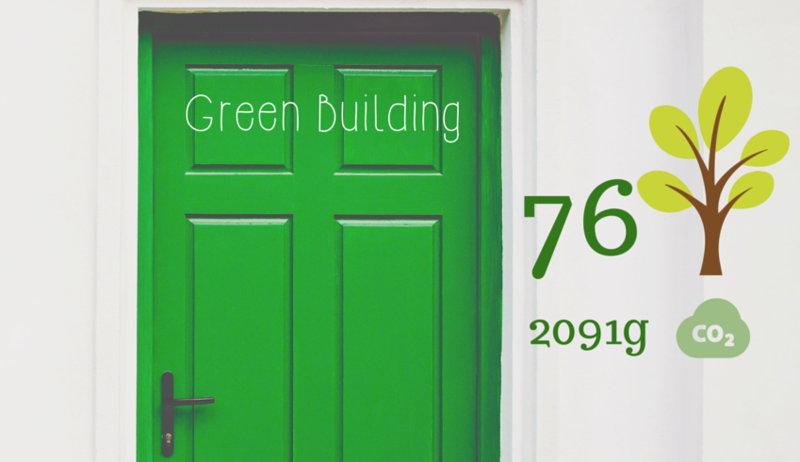 An impressive amount of energy (over 65%) can be spared designing efficient buildings. 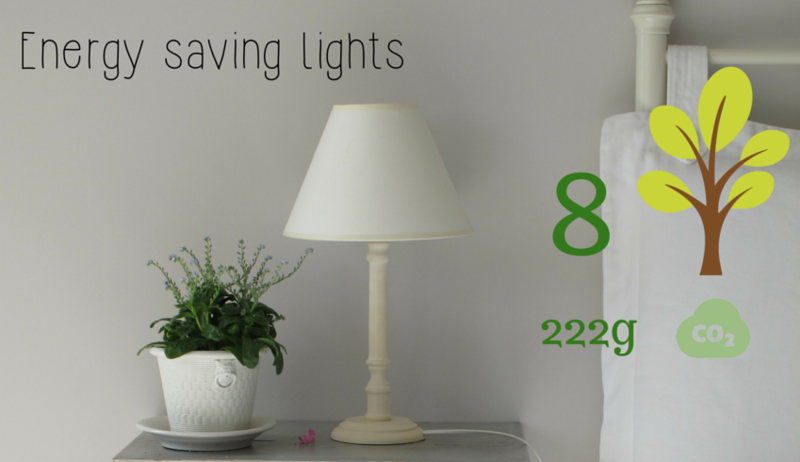 We calculated that, for a room of 20 square meters and a maximum consumption of 60 kWh/sqm, you save 2091g of CO2, equivalent to 76 trees. 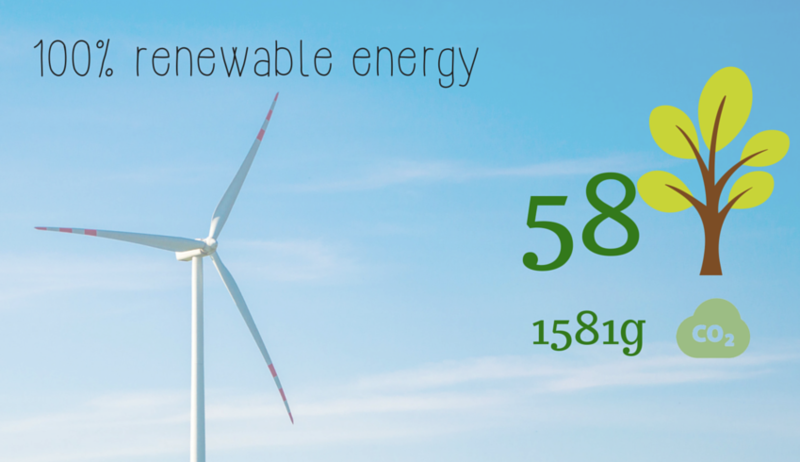 If the 100% electricity used by the accommodation comes from renewable sources such as wind energy, solar energy, geothermal or other renewable energy sources, producing it on-site or by purchasing it from green energy suppliers, you will save up 1581g to C02, or 58 trees, considering the average electricity use for lighting, washing machine, dishwasher, refrigerator, etc. 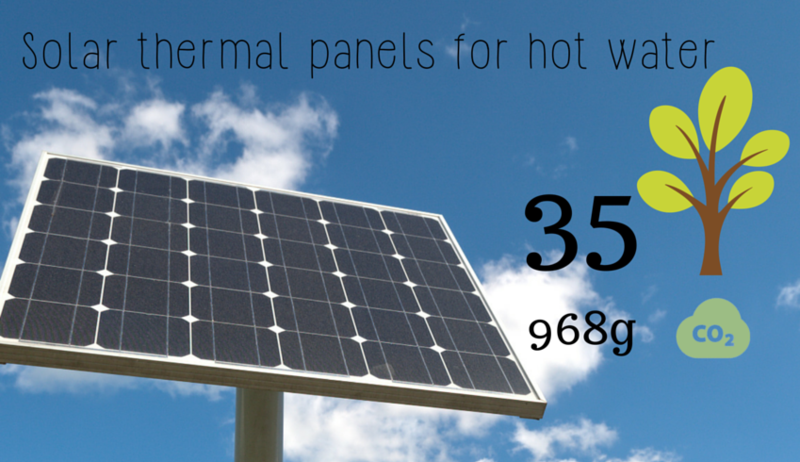 The solar panels can be used for the domestic hot water production, but also to heat the pool or the environments with floor heating. If we compare this type of heating with the gas, we have a saving of 968g of CO2, equivalent to some 35 trees. If the comparison is made with the electrical boiler, the savings triples! The energy saving lights save energy easily and effectively. In addition to providing the same brightness and a long life that is 10 times longer than traditional light bulbs, an energy-saving light bulb consumes up to 80% less energy. Use energy saving lamps is not only benefit the environment, but also a great way to reduce expenses. If we calculate a 60W bulb and a 40W lit for 5 hours each for each person you come to a saving of 222g of CO2, or 8 trees. 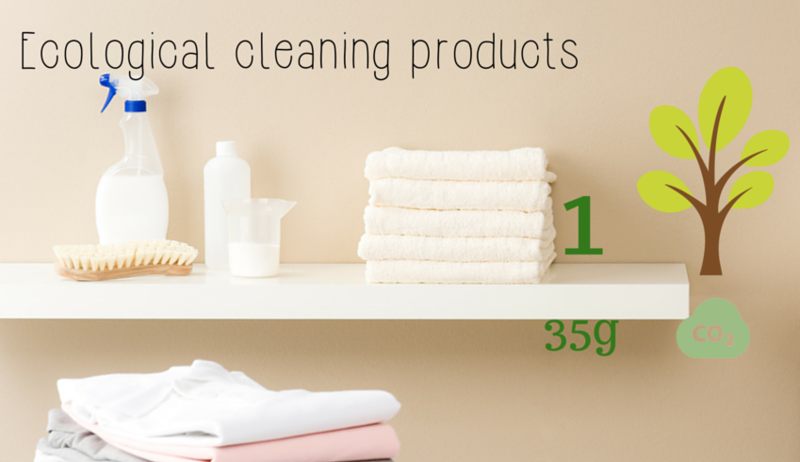 You can save on CO2 emissions by choosing the accommodations that use detergent made of natural products to clean the rooms, linen and dishes. Detergents are highly biodegradable and environmentally friendly. 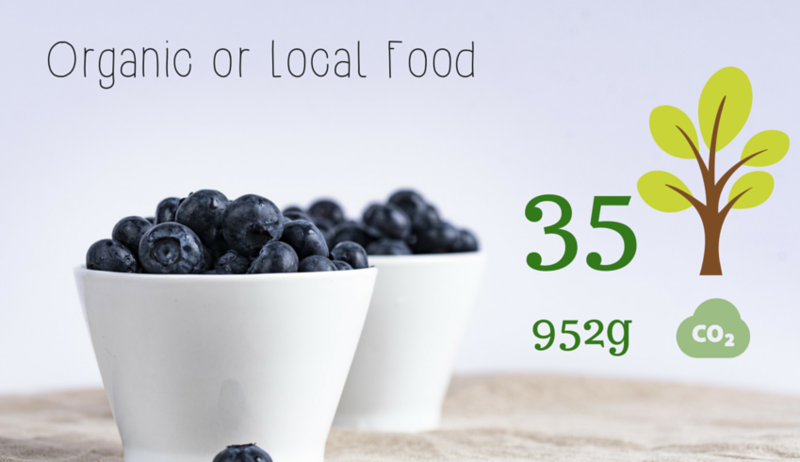 The savings is 35g only by using bioplastic containers instead of plastic. 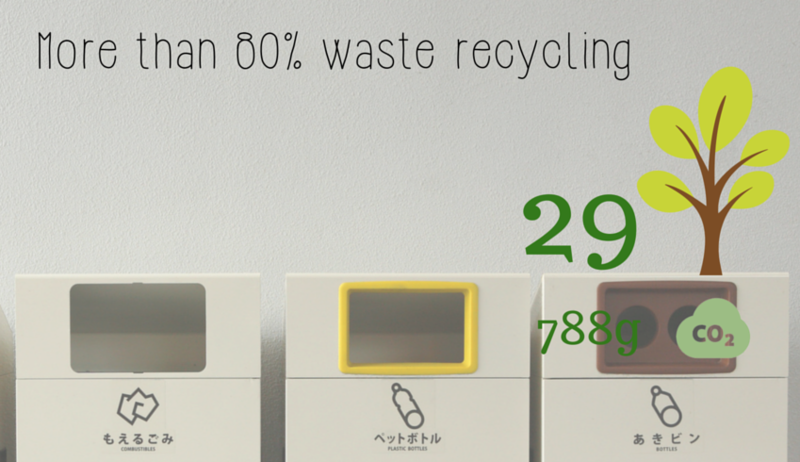 If we consider 1.5 kg of waste per person, of which 10% plastic and 80% recyclable (the national average is 43%) we can calculate a CO2 savings equal to 788g of CO2, which means planting 29 trees. Let’s assume a distance of 10 km by public transport instead by car; thus you reach the accommodation, saving 1370g CO2, equivalent to some 50 trees. 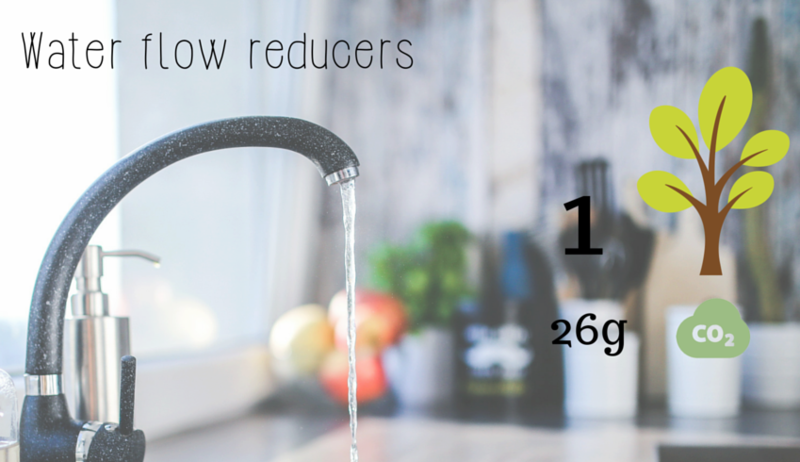 The flow reducers are aero-mixers that limit the flow of 6 liters per minute by strengthening the jet flow. 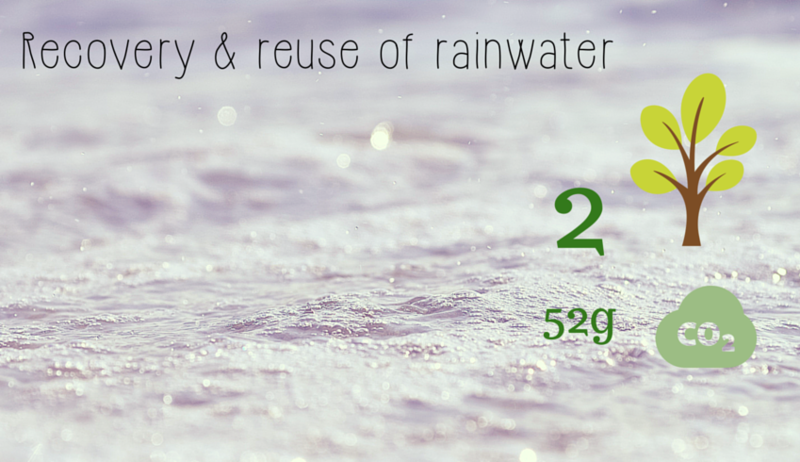 With this technology every guest in a ecobnb save 102 liters of water per day, thus saving 26 g of CO2, such as planting a tree a day! Rainwater can be treated and used for secondary uses, for flushing of toilets, irrigation of gardens and allotments, etc. If we consider the irrigation of a 25m2 garden and flushing you come to a saving of 52g of CO2 per person and 200 liters of water per person, equivalent to 2 trees per guest a day. If you book a room in one of the greenest hospitality of Ecobnb, those who possess all 10 major sustainability requirements, you can save up to 8085 g of CO2 and 302 liters of water per person per day. An act that’s equivalent to planting 295 trees! What certifications do our accommodations have? Accommodation in the Ecobnb website are self-certified by the owners and subsequently verified by our users. Many of the accommodations also have national or international environmental certifications. 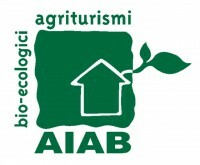 The famhouses Bio-Ecological AIAB certification guarantees control not only on compliance with the rules of organic farming, but also on the respect of ethical and ecological standards in the management of accommodation facilities: organic products, saving water and energy, construction techniques green building and environmental education activities are the main points on which the specification regulates a Farm Bio-Ecological AIAB. 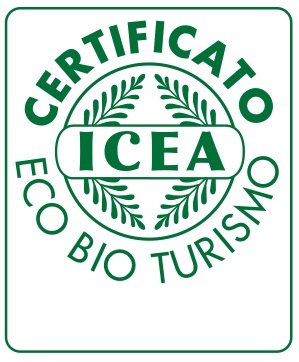 The certification ICEA Bio Eco Tourism enhances the accommodations that offer hospitality and offer activities in accordance with the natural, cultural and social resource, through organic farming, the protection of ecosystems and biodiversity conservation. The ICEA Eco Bio Tourism standard applies to the main tourist accommodations, from farmhouses to B&B, from the Hotels to Camping. 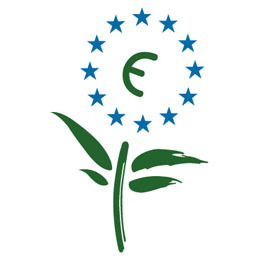 It’s the eco-label introduced by the EU to implement a sustainable development policy in the field of Tourism. The brand distinguishes the accommodations engaged in reducing pollution, energy waste and consumption of resources, through, for example, the use of energy-saving lamps, flow reducers and at least 50% of energy from renewable resources, but also the correct handling and sorting of waste and the preservation of biodiversity in the areas under the direct control of the accommodation. This label is given to internal accommodation in the Apuan Alps Park that joined to a special Discipline, paying attention to energy conservation, waste collection, the use of organic products, use of ecological detergents, to water reuse and respect of the Park territory. This brand was created from the Natural Park Adamello Brenta, in order to reward the most careful tourist and hospitality businesses to environmental protection and development of their territory, thereby promoting sustainable tourism in this important protected area, the largest of Trentino. This label marks advanced Ecotourism offers in Ireland, careful to eh education of tourists on respect for nature and local culture. Ecotourism experiences with this label have been evaluated and have received 85-100% of the available points. The Austrian environmental label “Das Österreichische Umweltzeichen für Tourismusbetriebe” was the first environmental label in tourism in Europe. Certification collects hostels, hotels, hotels with environmental care. 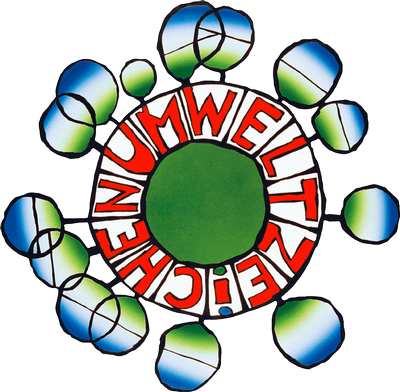 The logo was created by the artist Hundertwasser. This label identifies Swiss hotels that demonstrate their ecological management and their commitment to sustainable development, environmentally, socially and economically. Each hotel can get up to 5 ibexes. 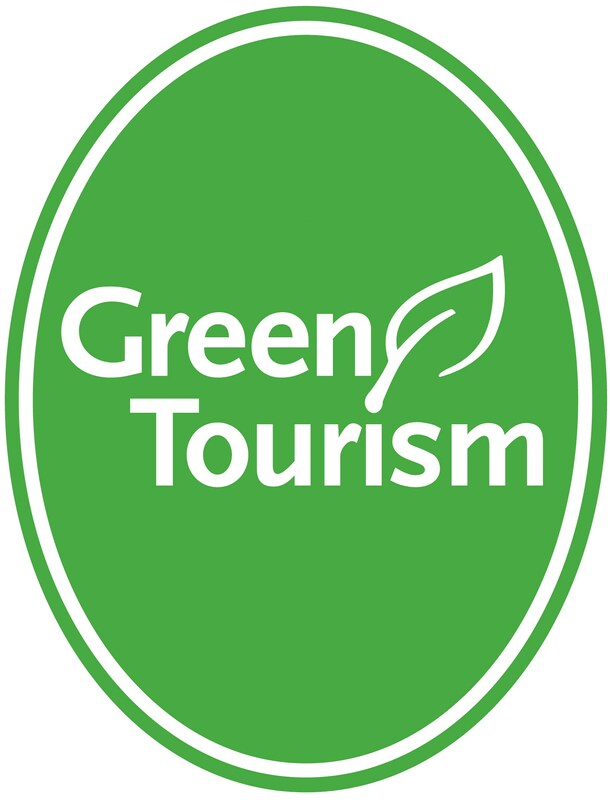 The hotels that have the Green Tourism Certification occurred at the ecological level and are located mainly in the UK. La Clef Verte is a certification given to hotels, camping sites, guesthouses, cottages, youth hostels, restaurants in France. The selection criteria are: water, waste management, energy management, purchasing, environmental awareness. 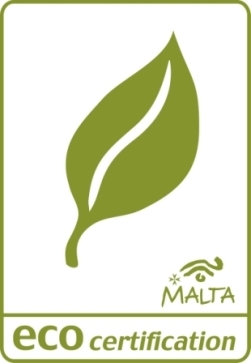 This certification is the national standard to ensure environmental sustainability, socio-economic, and cultural development of Malta’s hotel and was recognized by the Global Sustainable Tourism Council. Among the various aspects, these are the main areas considered by the certification: sustainable management systems, waste management, purchasing, control of chemicals, energy, water and air quality. The Ecotourism Australia certification program ensures that the accommodations certified are supported by a strong well managed commitment to sustainable practices and provides high quality tourism experiences based on nature. The certification systems are independently assessed and controlled, ensuring a high standard of quality. The Audubon International certification select accommodations that demonstrate a strong commitment to water quality, water conservation, waste reduction, resource conservation, indoor air quality and energy efficiency. All properties are subject to an obligatory visit site every three years to maintain certification. The accommodations are mainly in the United States. 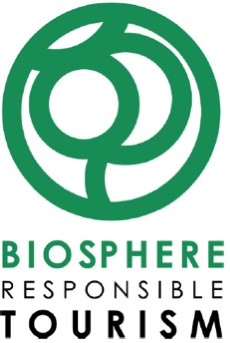 The Biosphere Responsible Tourism label certifies accommodations, restaurants, amusement parks, golf gold, attractions and other destinations around the world, with the support of UNESCO. 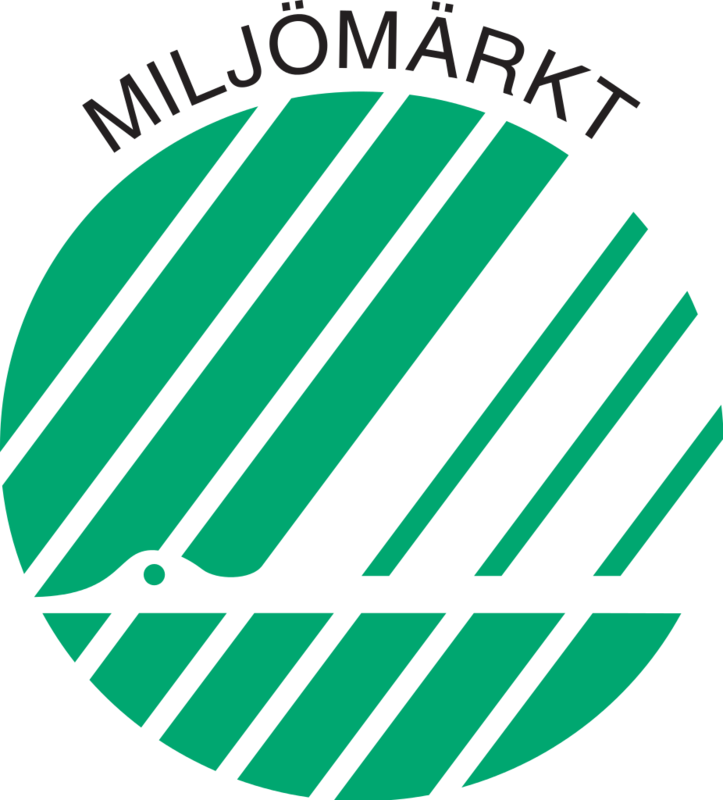 The Nordic Ecolabel or ‘Swan’ evaluates the environmental impact of a product throughout its life cycle. The certification, among other things, ensures that climate requirements and CO2 emissions are limited. The accommodations that are considered are in Scandinavia. Travelife is a certification system, dedicated to the achievement of sustainable practices in the tourism sector. It aims to provide realistic sustainability targets companies, tools and solutions to implement positive change within their companies. The system is run by ABTA, the travel association in the UK. Travelife for Hotels and Accommodations helps to manage and monitor the social and environmental impacts through compliance with the sustainability criteria. These are just some of the environmental certifications that you can find on Ecobnb, there are many other minor, such as parks and protected areas, which are recognized and included in Ecobnb.